The city of Raleigh’s Facade Grant Program helps businesses and property owners in older commercial areas upgrade and improve their building’s exterior appearance. Since the program’s inception in the early 1980s, it has assisted in the rehabilitation of more than 100 buildings, increasing their attractiveness to new customers and contributing a positive influence toward revitalization of their respective areas. The different types of grants available include both University Village Pedestrian Business Overlay Districs and other Pedestrian Overlay District Facade Grants. The Inception Micro Angel Fund is a member-managed, seed stage, angel capital fund model designed to capitalize on the growth of entrepreneurial activity and venture financing. 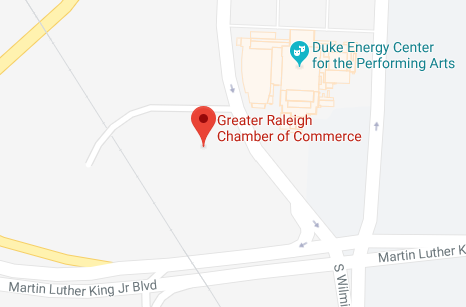 IMAF-RTP will invest primarily in the Research Triangle Park region of North Carolina and seeks to invest both dollars and time in seed stage, high growth companies, and spin outs from Duke University, UNC-Chapel Hill, NC Central University, and NC State University. Effective Jan. 1, 2011, North Carolina taxpayers that develop Interactive Digital Media within the state are awarded a 15 – 20 percent tax credit for compensation paid to employees and expenses paid to universities or community colleges. Eligible expenses must exceed $50,000 paid during the taxable year in development phases and may not exceed $7.5 million. Certain restrictions apply. To determine if your product is eligible for this incentive, contact the NC Department of Revenue, Corporate Tax Division at 919.733.8510. The One North Carolina Fund helps recruit and expand quality jobs in high value-added, knowledge-driven industries in North Carolina. It provides financial assistance to companies for installation of purchase of equipment, structural improvements and repairs of existing building to be used in expansion and construction of or improvement to certain building infrastructure (water, sewer, gas, electric lines). Companies must meet an average wage test and local governments must agree to match financial assistance to the company in order to be considered. North Carolina offers various renewable energy tax credits for nearly all renewables, including cost of equipment and associated design, construction costs, and installation costs by a taxpayer placed into service in North Caroling during the taxable year. The credit is subject to various ceilings depending on sector and type of renewable-energy system. The Technology Development Tax Credit is a 1.25 – 3.25 percent research and development tax credit allowed to small businesses and is determined by county tier and expense type. Businesses with North Carolina university expense type for the texable year are allowed a tax credit of 20 percent of those expenses. The Small Business Administration works with intermediaries, banks, and other lending institutions to promote loans and venture capital financing for small businesses. Small Business Healthcare Tax Credit is a federal tax credit created in 2010 to assist in offsetting the rising cost of health insurance. Starting in 2014, the maximum credit is 50 percent for small business employers and 35 percent for small tax exempt employers. The Work Opportunity Tax Credit is a federal tax credit program available to all private-sector employers who hire new employees from nine “targeted” groups, which have historically experienced high rates of unemployment and have had difficulty in securing employment due to a variety of employment barriers. Due to the Tax Relief and Health Care Act of 2006, this tax credit program now includes the Welfare-to-Work Tax Credit. The consolidated WOTC for hiring most target group members can be as much as $2,400 for each new adult hire, $1,200 for each new summer youth hire, $4,800 for each new disabled veteran hire, and $9,000 for each new long-term TANF recipient hired over a two-year period. The exact amount of net savings depends upon each employer’s tax bracket plus the amount of qualified wages paid. Participation in the WOTC requires specific documentation from employers and certain retention periods from employees. For more information on tax credits and incentives please read theCorporate Relocation Guide.